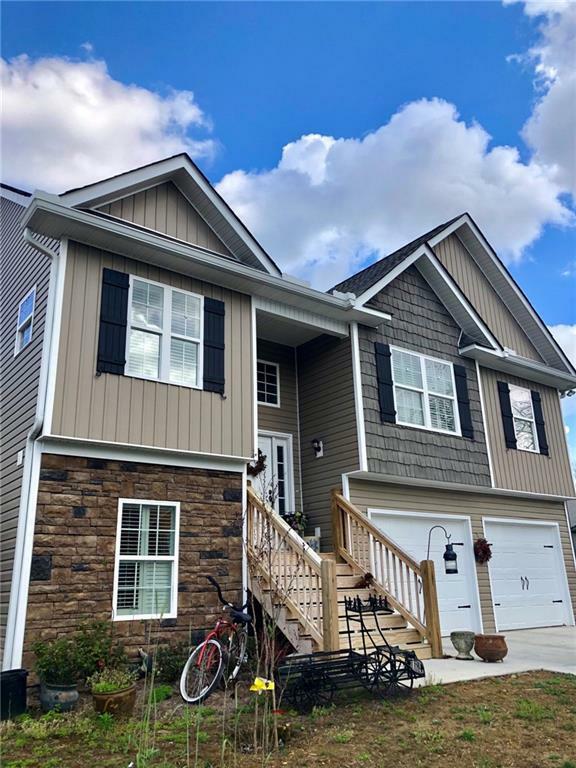 This home is LIKE NEW at less than one year old! Come visit & view the upgraded covered back patio/deck area, plantation shutters, & the BRAND NEW upgraded solid surface flooring throughout. This home is low maintenance & features a well designed open concept floor plan w/ large living area open to kitchen & dining area. Vaulted and/or trey ceilings in all bedrooms, kitchen & living areas, custom cabinetry. Stone & vinyl multi-texture exterior in convenient city location. Walk to the Calhoun Primary School! Bedroom and full bath on lower level great for in-law suite.